Chicken Caesar recipes have always been my favorite! 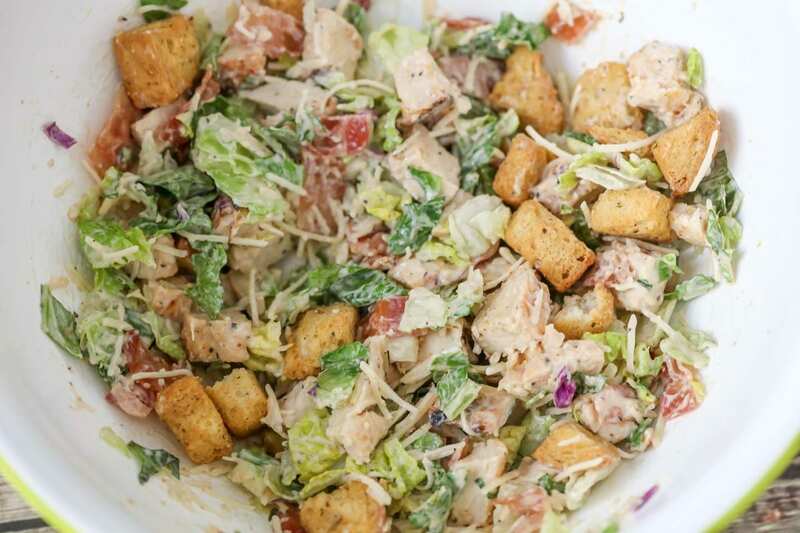 The combo of chicken, caesar dressing, croutons and Parmesan cheese is so delicious!! Do you love it too? The hubby thinks it can be bad that I love it so much, because it’s my go-to salad dish I order whenever we go out, and it sometimes keeps me from ordering new things, but that’s just because I can never go wrong with Caesar. 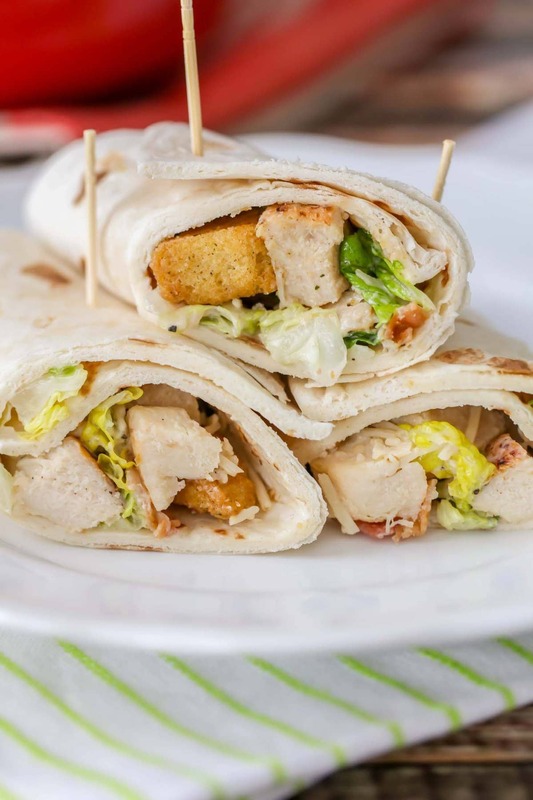 😉 That is why today I am sharing a recipe for Chicken Caesar Wraps! Have you had them before? I first tried them at Burger King. Yes, of all places, that is where I had them first. I was sick of chicken nuggets and french fries and saw they had some wraps. I tried the Caesar wrap and loved it. 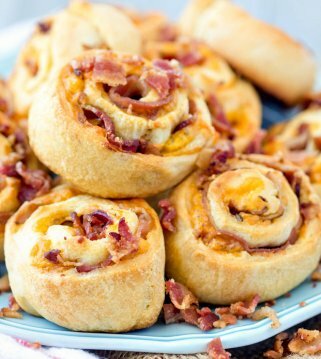 I realized they would be so easy to make at home and wanted to share that recipe with you guys today. 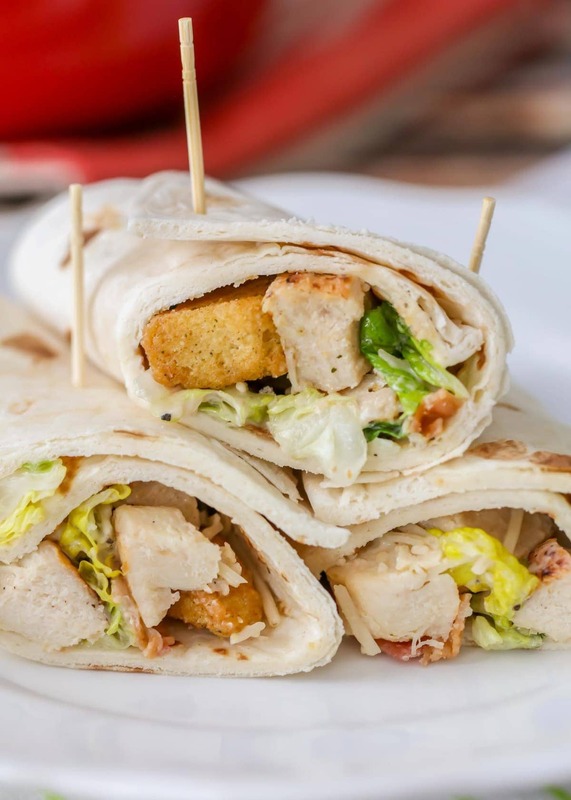 Wraps are an easy, quick and healthy lunch or dinner idea. 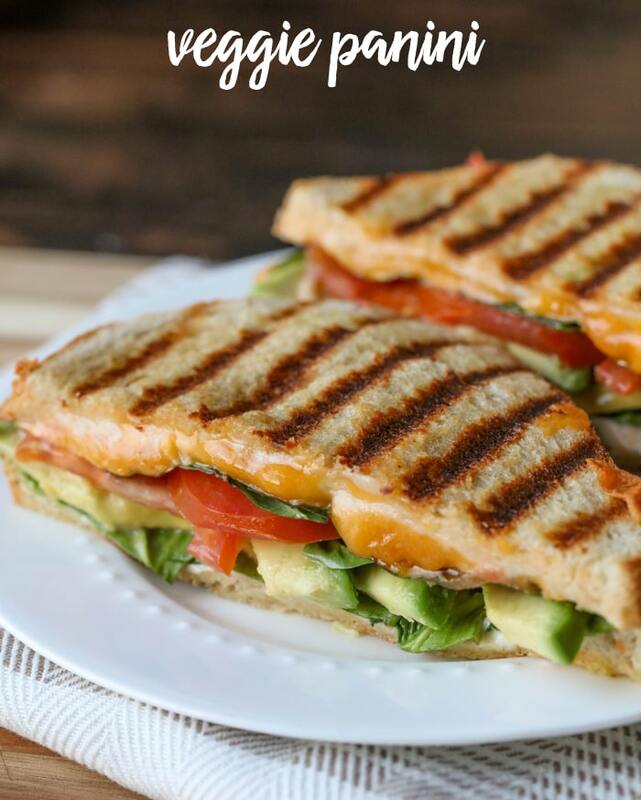 Being able to customize these wraps makes them even more appealing, but you can make them even more healthy by changing a few of the ingredients. There are so many low-fat and low calorie wrap options that you find near the tortilla section of the grocery store. You can also make it even more healthy depending on the dressing you use. We love the Bolthouse Farm dressings (the Creamy Caesar would be great for today’s recipe) that are made from yogurt and usually have only a few grams of fat for every few tablespoons. 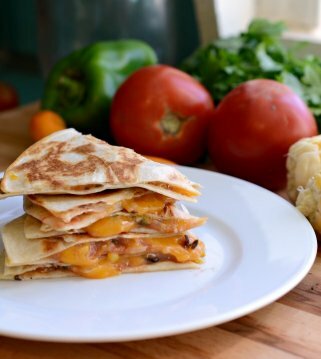 Changing out a standard tortilla and using a low-fat dressing make this meal even more appealing, especially if you are trying to eat healthier. I think these taste best when made with homemade tortillas or with the Tortilla Land tortillas that you cook up. The store bought tortillas work as well, so no worries if that is all you have on hand. Add the first 5 ingredients to a medium bowl. Mix in caesar dressing until evenly coated. Spoon into tortillas and enjoy! 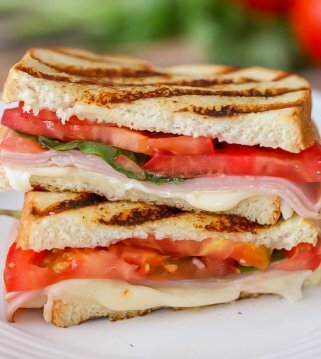 For all LUNCH ideas CLICK HERE. Yum – thank you Kristyn. What would be a good side? Looks delicious! Any kind of salad or pasta salad would be great:) https://lilluna.com/category/recipes/salads/ These wraps are delicious!! How did you cook the chicken? Haha..I wish I could remember. I like to cook up chicken in the crockpot or bake it, to have some cooked chicken on hand. You could also, put it on the grill or frying pan. Hope that helps!! Thanks so much for stopping by! Does this keep well in refrigerator? Would you recommend waiting to put croutons in until you are ready to serve so they don’t get soggy? Looks delicious! These are so good! Thanks. My son loved these! I’m so glad your son liked them!! Thank you for letting me know!! How many calories would you say was in one serving? I honestly don’t know. If you really want to know, you’d have to look at the ingredients & measurements & find out that way. I wish I knew, I’m sorry! Great idea for those nights when you don’t want to try very hard but still want everyone to be healthy instead of just picking up a pizza fast food! 2500 calories listed for the chicken ceasar wrap, pretty sure that must be incorrect?